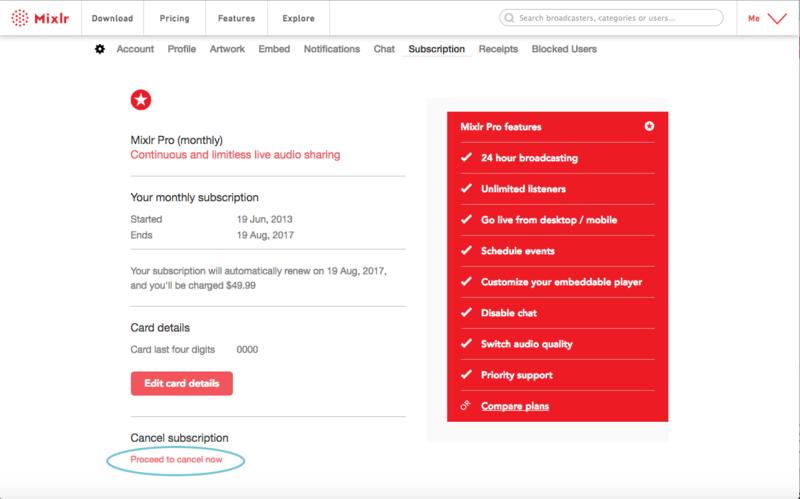 If you have an active Mixlr subscription you can cancel it at any time. 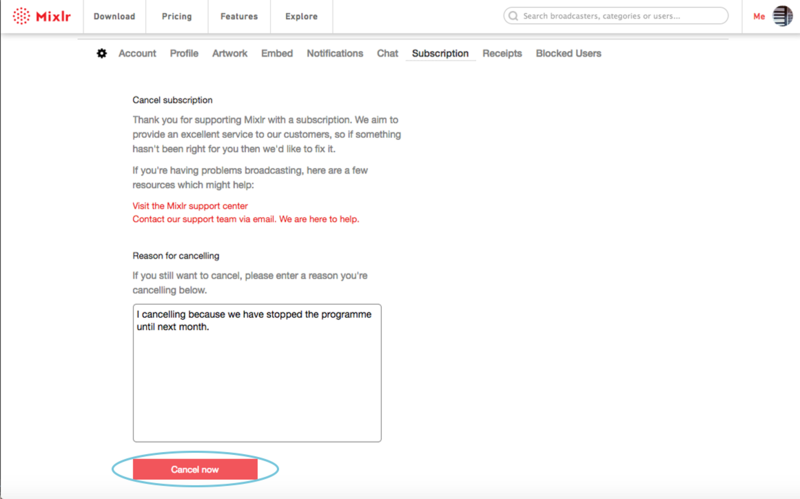 When you cancel your Mixlr subscription it won't end immediately - you'll be able to continue broadcasting for the duration of the period for which you have paid. This article will show you how to cancel your subscription. 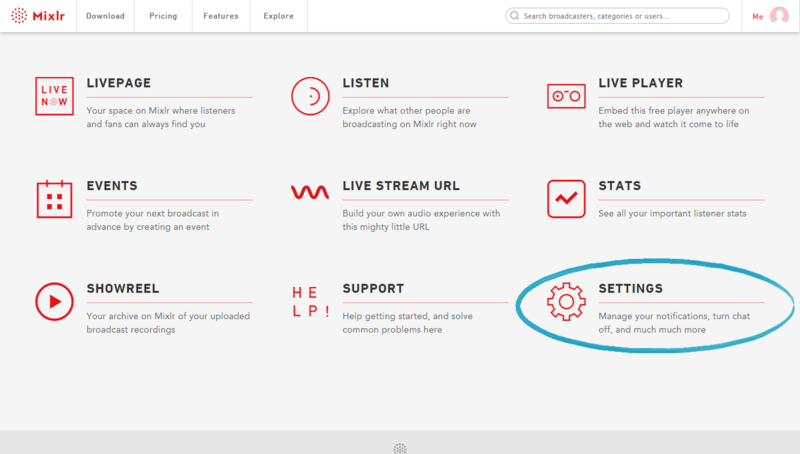 Log in to your Mixlr account and click on SETTINGS. From the Settings page select the Subscription tab. 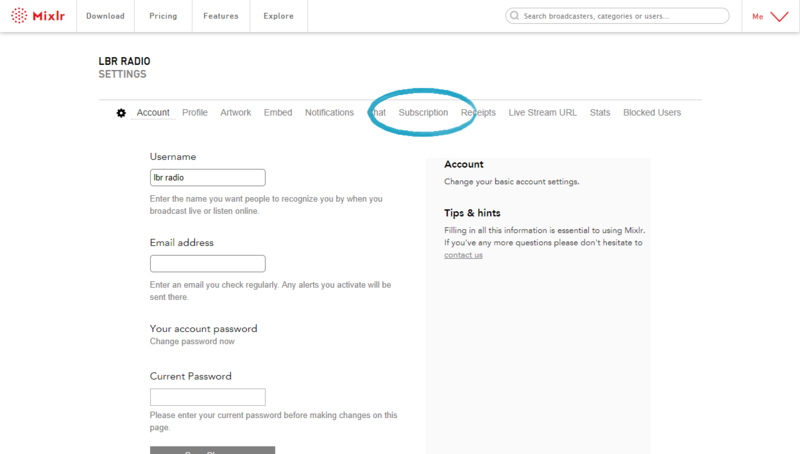 TIP: you can navigate directly to your Subscriptions page by clicking on this link. Scroll to the bottom of the page and click the 'Proceed to cancel now' link. This will open a cancellation confirmation page, which allows you to provide feedback about the reasons why you are cancelling. We pride ourselves on building the best platform for our customers so letting us know how we could improve is really helpful. To cancel your subscription click the 'Cancel now' button. That's it. Your subscription will be cancelled and you will not be billed again. You will still have access to the subscription features until the end of your current billing period (one month or one year from your last payment depending on your billing schedule). TIP: if your subscription has already renewed but you have not been charged - e.g. if it is a weekend, or the initial charge attempt was unsuccessful - then our payment service will still charge you for that renewal, even if you cancel before the payment has been processed.